Amazon is in the CIA business, well the business of running a TV series based on a CIA hero – Jack Ryan. The streamer ordered 10 episodes straight-to-series for the drama that will star John Krasinski as Ryan. The project comes from Carlton Cuse, writer Graham Roland, Michael Bay’s Platinum Dunes, Skydance Media and Paramount TV. Three scripts have been submitted by Cuse and Roland which likely helped with the straight-to-series order, not as much as snagging Krasinski for the lead though. The direction the project is taking will follow Ryan (Krasinski) as an up-and-coming CIA analyst. He uncovers a pattern in terrorist communication that launches him into the center of a dangerous situation involving a new kind of terrorism that threatens catastrophic destruction. 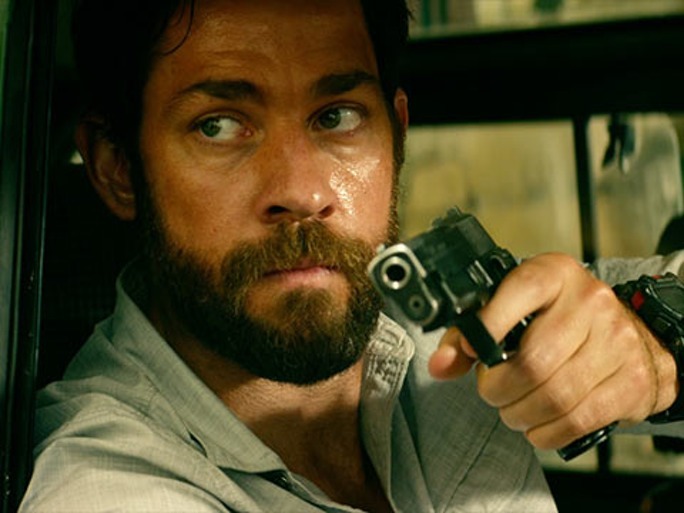 The project will unite Krasinski and Bay who recently worked together on ’13 Hours’. The Jack Ryan character has covered five movies with four different actors, not including Krasinski, that have all played the agent. Beginning in 1990 with the latest from 2013 and the franchise has made just about $1 billion worldwide. The plan is to debut the series in 2017. ’13 Hours: The Secret Soldiers of Benghazi’ Trailer Is Chilling!!! This entry was posted on Tuesday, August 16th, 2016 at 2:08 pm	and is filed under Books, Film, News, Television. You can follow any responses to this entry through the RSS 2.0 feed. You can skip to the end and leave a response. Pinging is currently not allowed. « ‘Mr. Robot’ Has Been Renewed For Season Three!! !